Did you know that test drilling for oil and gas has just started at Broadford Bridge (Wood Barn Farm) near West Chiltington/Billingshurst? Read on to learn the history behind this project and why so many local people do not know about it. Do you want lorries with oil, gas and chemicals driving around our little country lanes, risk of polluted air, oil flare lighting the night sky and the potential for carcinogenic chemicals leaching into our soil and water supply? Evidence from the Government suggests that such drilling can reduce property values and reduce your chances of selling or renting your property. Effects on wildlife, farm animals and horses. The list against this activity goes on. Read on and take action against this. In 2013, West Sussex County Council gave planning permission to test drill at Wood Barn Farm, Broadford Bridge near West Chiltington and Billingshurst. In September 2014 a drilling pad was built, and Celtique and Magellan had 3 years in which to drill. Work stopped when these companies got into a legal dispute over the site. UK Oil and Gas (UKOG), one of the companies behind the Horse Hill oil well near Gatwick, agreed a deal with Celtique Energie and Magellan to acquire 100% of PEDL234 via their subsidiary, Kimmeridge Oil and Gas Limited (KOGL), in June 2016. In January 2017, the County Council approved KOGL’s application to amend the existing planning consent to allow a “zone of variation” within which the well can be drilled. Planning consent expires in September 2017. It was understood, at the time of writing this blog 24th May that UKOG still needed to raise £6.5million by creating new additional shares on the AIM stock market to fund the drilling. However they started drilling into the Kimmeridge Clay on bank holiday Monday 29th May in the evening. Across the Weald oil companies are trying to get at the oil that’s captured in the Kimmeridge limestone – layers of ‘tight oil’ within the Kimmeridge Clay shale – as opposed to the highly porous, conventional geology (Great Oolite) at Storrington. UKOG have told their shareholders and investors that they are looking to extract “tight oil” at Broadford Bridge and elsewhere in the Weald. This oil is called “tight oil” because it does not flow freely like at other local sites such as Storrington. It needs to be extracted through much more invasive methods because the limestone has low permeability and does not flow easily. Each individual well is not very productive, because the oil is difficult to extract, so many wells are constructed close together. Stephen Sanderson, CEO of UKOG/KOGL, has spoken publicly about their intention to develop an “industrialised process” across the Weald to maximise output. To get at this oil, UKOG/KOGL need to ‘acidise’. 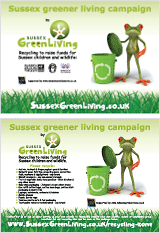 (See this short leaflet written by national expert Kathryn McWhirter from Balcombe. It explains why the scale of acidisation and the number of toxic chemicals used is much worse than current industry practices). 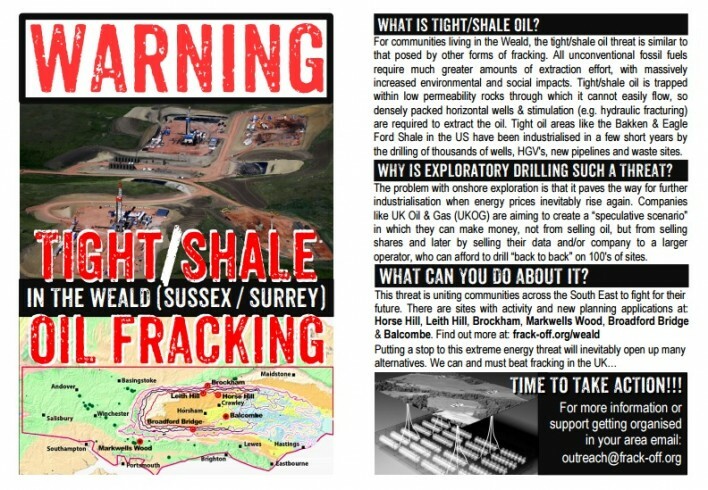 Also Keith Taylor Green MEP has just produced this new guide on drilling, acidisation and fracking in the South East. 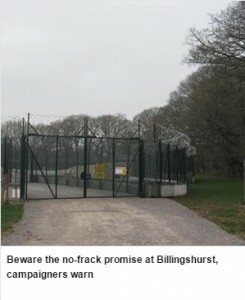 Keep Billingshurst Frack Free (KBFF) and other groups are deeply concerned that UKOG/KOGL’s stated plans differ substantially to the planning permission that has been granted. This exploratory drilling will pave the way for this kind of ‘permission creep’ and once started it will be very difficult for communities to stop. 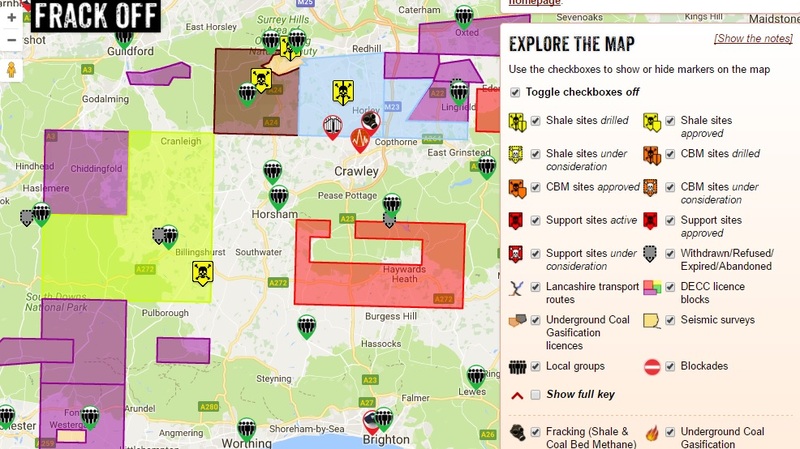 A local campaigners says “UKOG have all their licences, and with the current EA permit they are allowed to drill but we can’t understand why as they are going into different geology and with a different trajectory. The variation they submitted earlier this year is for after phase 2, the flow-testing. (which includes the acidisation, nitrogen lifting, hot oil treatment, extra crane, etc). 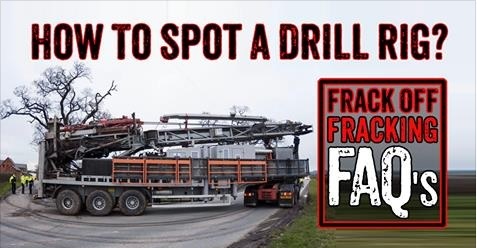 They only have a certain amount of time (until 15 Sept) so therefore that they will do a 2-stage operation, drill the well and maybe do a basic flow test (which will use acidisation and bring onto site all the other equipment not covered in the original EA permit. They will then return at a later date for longer flow test. To start drilling without this variation is bully boy tactics. 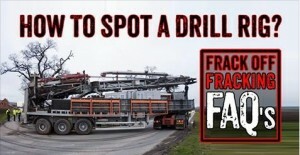 They are saying to the EA, we have already got our drills in ground how can you reject our new variation”. UKOG DRILLING AT HORSE HILL, GATWICK, 2016“The first year the drill was here for three months, last year for eight weeks and our lives were ruined. The noise, the smell, the disruption to our rural area were changed to such an extent that we did not want to be here. We cannot prove any connection but we had horses with nosebleeds, clients with headaches, oil appeared all over the land. We don’t know what chemicals were coming and going but we had broken pipes pouring water into our fields and ditches (which continue to the River Mole).” Alex Gaché, owner of Lomond Classical Riding School, Surrey, adjoining the Horse Hill drill site. Because of the much more intense nature of the tight oil/gas extraction process, it is associated with much more negative impacts than conventional drilling. These include leaking methane, water contamination, air pollution, radioactive contamination (via bringing up Naturally Occurring Radioactive Materials that are safely contained underground to the surface), massive industrialisation of the landscape, worsening climate change and the risk of earth tremors near to fault lines (such as the one that UKOG/KOGL may drill through at Broadford Bridge) that can damage the well and risk leaks underground – even with just very small ground movements. Severe health effects in people and animals are beginning to mount globally in areas where unconventional oil/gas extraction is widespread. The unconventional oil/gas industry leaks large amounts of methane (a very strong greenhouse gas) at all stages of exploration, production and legacy. In addition it makes available fossil fuels that would not otherwise be burnt, significantly worsening climate change. Do you want multiple lorries with oil, gas and chemicals driving around our little country lanes, air pollution, oil flare lighting the night sky and potentially carcinogenic chemicals in our soil and water supply??? 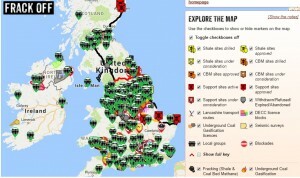 This map shows groups who are campaigning against oil and gas in the UK. Join the group Keep Billingshurst Frack Free, they gather every Saturday from 2-4 pm at the Adversane crossroads, near to drill site, location postcode: RH14 9JH, this is their Facebook page. Write to West Sussex County Council, Parish Councillors, District Councillors, MPs (and candidates), Environment Agency and Southern Water, saying you oppose this activity. Invite your MP (or candidates) and County Councillors to join the Cross Party Frack Free campaign. On this page you will find a template letter for a letter to your MP and your County Councillors. Move your purchasing power – only buy renewable clean energy, this is our great cost comparison switching site for 100% renewable energy. Tell your bank that you will move your money unless they divest, more information here. HSBC, Barclay and Lloyd are considering financially supporting UKOG at Broadford Bridge. If they are unable to secure financial support from the banks this drilling will not go ahead. It takes seconds to email these banks using the link above. Still not convinced by the environmental argument above? We need to keep fossil fuels in the ground and transition asap to cleaner renewable energy sources. Please support this campaign and protect our water, air, soil, wildlife, families and countryside.